The material is usually introduced as slurry. 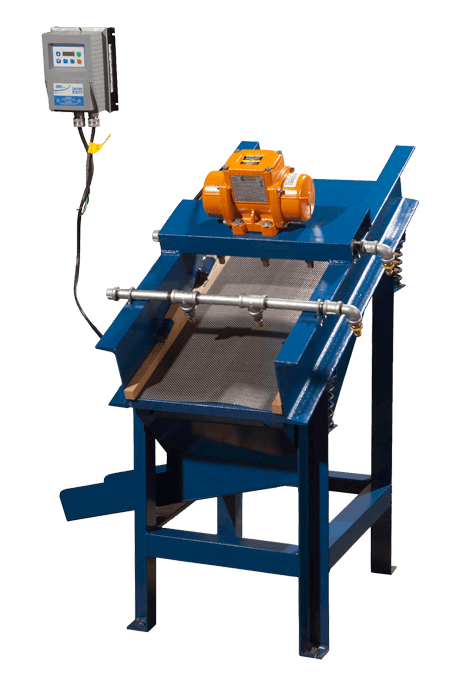 On an inclined dewatering screen the accelerations along with a portion of the gravitational force will cause the material to travel towards the discharge end while the water is being screened out by means of proper screening media. The resulting force for material travel is indicated as the yellow arrow. The force causing the water to separate from the solids is gravity enhanced by the vertical vector of the g-forces produced by the screen. The problem in this design is that the gravitational forces are only partially used towards dewa-tcring but also towards material transport. The later will ultimately drag water into the product. In order to improve dewatering one would have to decrease the inclination of the screen which in return will also decrease the material travel rate drastically. In other words the “dry” product will end up quite wet. This can raise a couple of problems. A customer could be quite hesitant to pay for a high amount of water in the product. 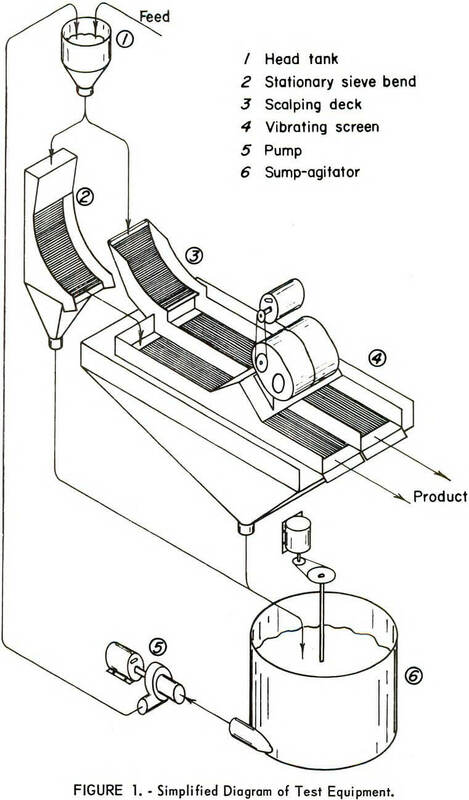 A product w ith high water content w ill flow back on a conveyer belt and will cause severe damage to the rollers of the belt by washing fine solid product into the bearings. Finally the amount of w ater in the product is a loss if the customer doesn’t pay for it just as well as it is a loss if the plant runs a closed water circuit. The horizontal screens used for dewatering are actually not exactly set at 0°. It has proven to be very beneficial to set them up at a negative incline of about 3°. 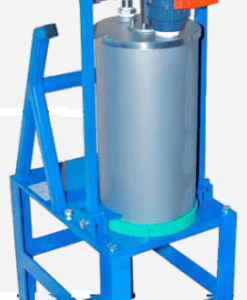 As for the applications discussed above the material is usually introduced as slurry. Other then on inclined machines the only force resulting in material travel is the g-force produced by the screen. This g-force is aligned a 45° and transports the material uphill. The gravitational forces enhanced by the vertical portion of the acceleration of the machine arc fully utilized towards dcwatcring. In operation those forces w ill build a material layer on the screen that is pushed out of the wet zone towards the discharge end. A back dewatering field is used to reduce the amount of water right after feeding the screen. The thick layer of material acts as a filter cake and not only presses water out but traps fine particles that would be lost in a thin layer screening process. Furthermore a dam at the discharge end is normally used to further enhance product quality. Water won’t run uphill + Filter-cake presses water out = Excellent dewatering. 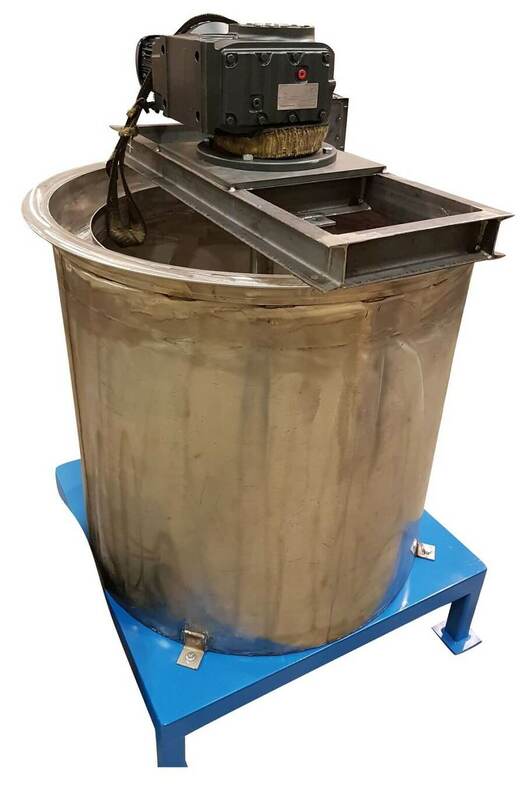 The purpose of this investigation was to determine the advantage of using either a conventional sieve bend ahead of a vibrating screen or of attaching a sieve-bend screen surface onto a vibrating screen to serve as a scalping deck when dewatering or draining dense medium from fine coal. In dewatering, use of either the sieve bend or scalping deck increased the capacity of the vibrating screen tenfold and the recovery of coal finer than 0.5 mm threefold, with no sacrifice in the moisture content of the over-size product. 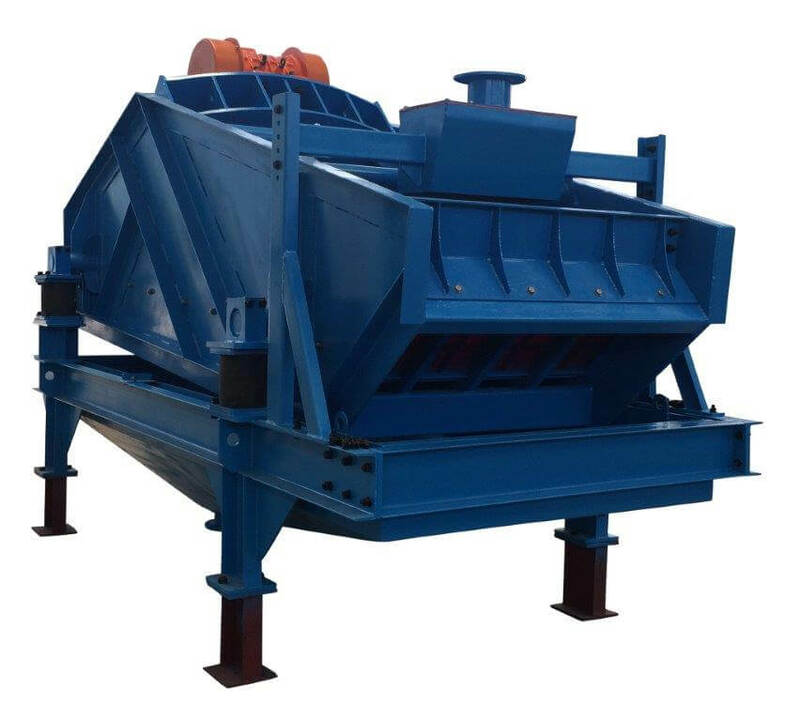 In dense-medium drainage, either the sieve bend or the scalping deck reduced the amount of magnetite retained on the product of the vibrating screen, particularly when the medium was as dense as that characteristic of the underflows from dense-medium cyclones. The sieve bend was slightly superior to the scalping deck in dewatering, but the scalping deck was clearly superior in dense-medium drainage. Additional advantages of the scalping deck are lower cost and a substantial saving in headroom. Screens-particularly those used for fine sizing, dewatering, and recovery of dense medium-comprise a significant part of the cost of coal preparation plants. Their capacity is low in relation to space requirements; so in addition to their own cost these screens add disproportionately to building costs. 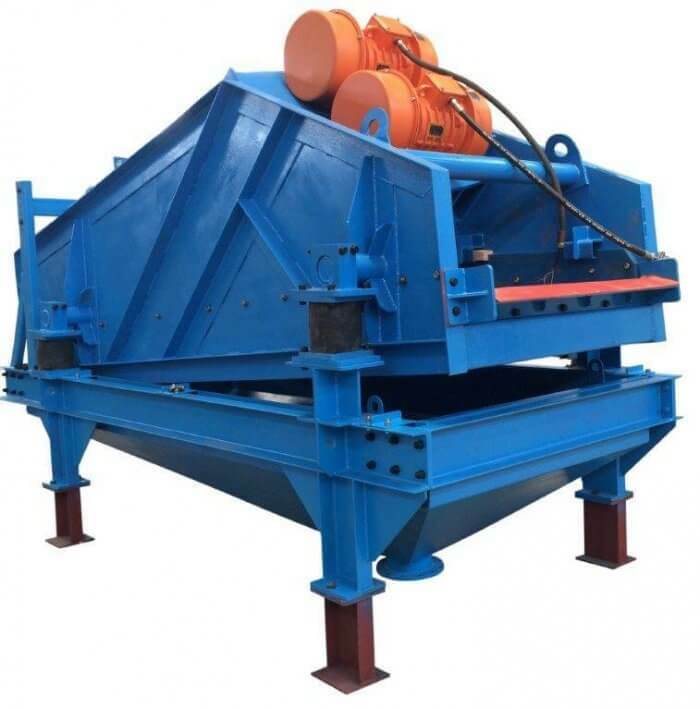 Their use is increasing because of the increased proportion of fine coal in washery feed, the present trend toward removing the finest sizes of raw coal for separate treatment, and the introduction of the dense-medium cyclone for cleaning fine coal. Thus, any improvement in the capacity of screens can contribute substantial reductions in plant capital costs. This objective lead the Bureau of Mines to investigate the sieve bend shortly after its development by the Dutch State Mines. In this earlier work, use of the sieve bend for screening at fine sizes was investigated. 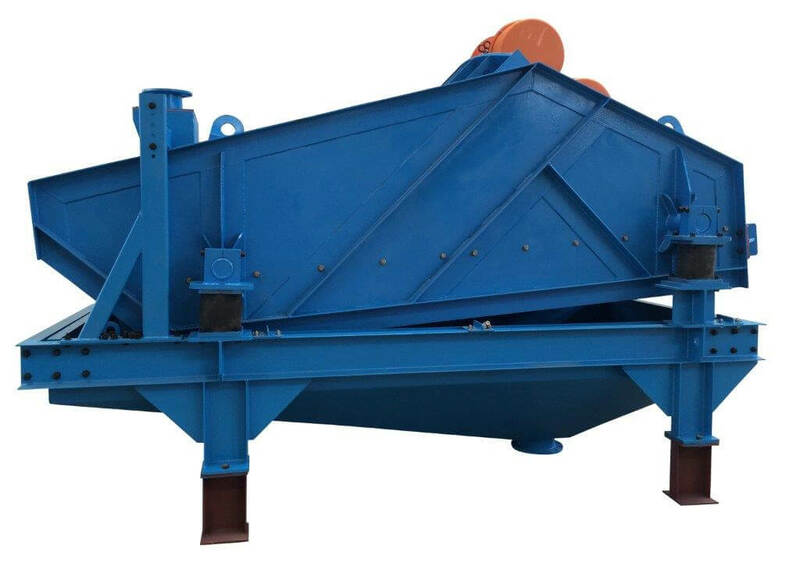 The present work extends the investigation to cover two other important uses of the sieve bend—dewatering and dense-medium drainage. In the course of a recent investigation of the dense-medium cyclone, it was found that attaching the screen surface of a sieve bend directly to the feed end of a vibrating screen to serve as a scalping deck solved a difficult medium-drainage problem; apparently because blinding of the vibrating screen was greatly reduced. Therefore, the use of such a scalping deck was included in the present investigation of the conventional sieve bend. The test circuit used in the medium-drainage tests is illustrated in figure 1. A 26-inch by 8-foot horizontal vibrating screen divided longitudinally was arranged so that one side could be fed with the oversize product of a sieve bend. The other side was fitted with a scalping deck made by attaching the screen surface of the sieve bend directly to the feed end of the vibrating screen. When desired, the sieve bend could be bypassed so only the vibrating screen was in use. 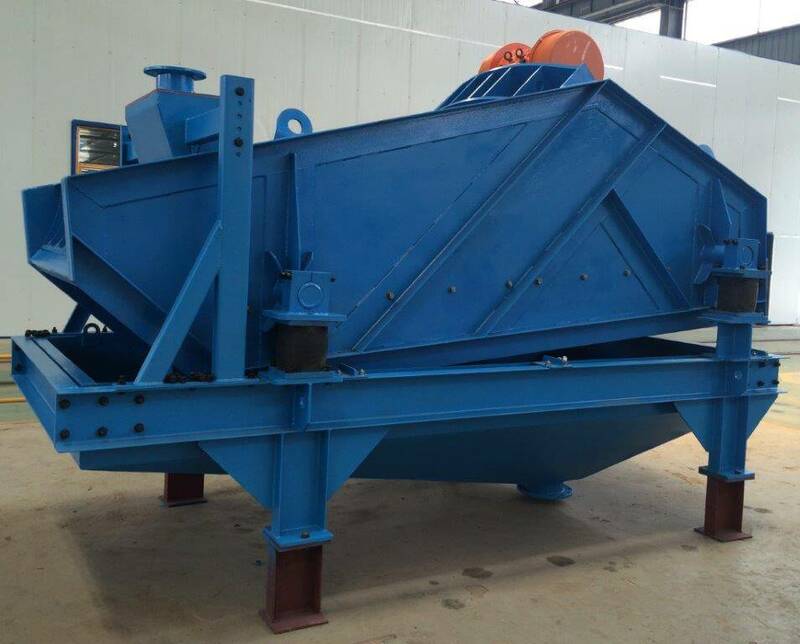 Thus, with this combination the vibrating screen alone, the vibrating screen fitted with the scalping deck, or the vibrating screen operating in tandem with the sieve bend could be used in testing. 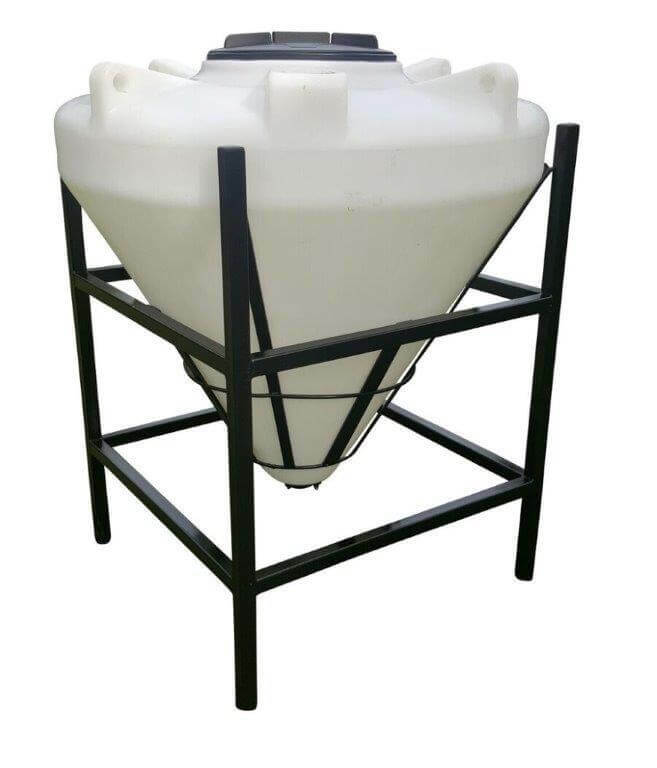 All screen underflows passed to a sump-agitator where magnetite or water was added as needed to maintain medium density, then recirculated through the system via the head tank where the coal or refuse was added. commercial screens indicates no significant effect. All screen capacities are given per foot of screen width. Samples were collected at the feed and discharge of each screen in any combination of screens used so that the performance of individual screens could be assessed. These samples were wet-screened at 28-mesh, dried, and weighed; a portion of the 28-mesh to 0 fraction was analyzed for magnetic content in a Davis-tube magnetic tester. The magnetite used was a commercial product, designated grade B, containing 90 percent of material finer than 325-mesh. The coal and refuse were ¼-inch to 0.5-mm products obtained in the operation of a laboratory, dense- medium pilot plant. As shown in table 1, these products contained a high portion of particles (about 36 percent) in the 14- to 35-mesh size range; therefore they provided a severe test of drainage equipment. 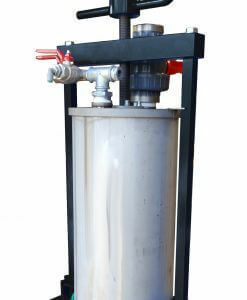 For the dewatering tests, the sump-agitator was eliminated from the circuit. Coal and water were fed at the head tank and passed over the screens in open circuit. In most tests, samples were taken also at several additional points along the length of the vibrating screen. All samples were analyzed for moisture content and size composition. 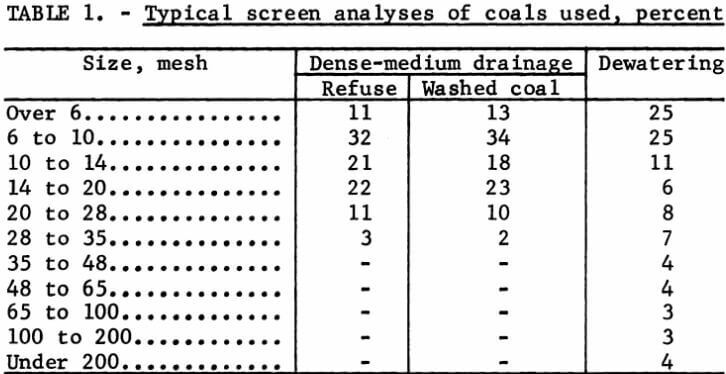 The coal used in these tests was a washed coal of ¼-inch to 0 size, with the screen analysis shown in the last column of table 1. One of the first steps of the investigation was to determine the influence of the inclination at which the scalping deck was mounted on the vibrating screen. Tests were conducted to determine the performance of the scalping deck at two angles of inclination-one with the feed end vertical and the other with the discharge end horizontal. Both washed coal and refuse, with medium of appropriate specific gravity, were used in these tests. When draining washed coal, the angle of inclination was unimportant; however, when draining refuse, superior results were obtained when the discharge end of the scalping deck was horizontal; magnetite retention was reduced by a third (table 2). The medium used with the washed coal was 1.20 specific gravity, while that used with the refuse was 1.70. The thicker medium discharged with the refuse from the cyclone did not drain as fast as the thin medium that accompanied the washed coal. Reducing the slope of the scalping deck provided more retention time and hence allowed more complete drainage of the medium. However, with very thick medium, of 2.20 specific gravity for example, material sometimes compacted at the discharge end of the scalping deck when it was horizontal. With a thick medium, best results were obtained when the scalping deck was just steep enough to eliminate such compaction; therefore, the scalping deck was adjusted in this manner for all subsequent tests. Two refuse products, both of ¼-inch to 0.5-mm size but one much coarser than the other, were tested under similar operating conditions. The only samples collected were those of the feed and discharge of the scalping deck. 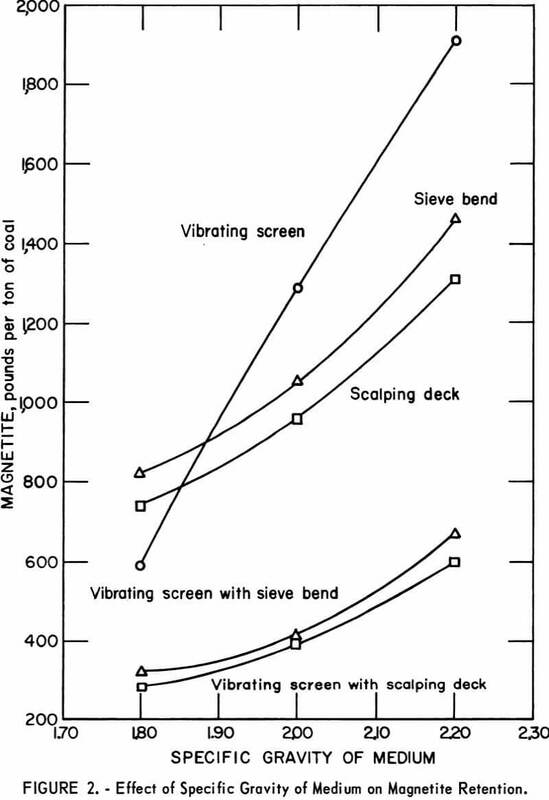 The amount of magnetite retained in the discharge of the scalping deck varied in proportion to the amount of 14- to 28-mesh material in the feed; a four-fold increase in the percentage of this size caused a four-fold increase in the amount of magnetite retained (table 3). The ratio of the specific surface of these two materials was 1.8 to 1. Thus the amount of magnetite retained appears to be influenced more by the proportion of near-aperture particles (which promote blinding) than by specific surface. The various screen combinations were used in a series of drainage tests in which the specific gravity of the medium was the principal variable. Specific gravity was varied from 1.80 to 2.20, which is approximately the range encountered in cyclone underflow. These tests were made at a feed rate of 7.5 tph/ft of coal (or refuse). When only the vibrating screen was used (fig. 2), the amount of magnetite in the screen product increased rapidly with increase in the specific gravity of medium. With either the sieve bend or the scalping deck, the rate of increase was much lower. At specific gravities above 1.85, both the sieve bend and the scalping deck were distinctly superior to the vibrating screen. 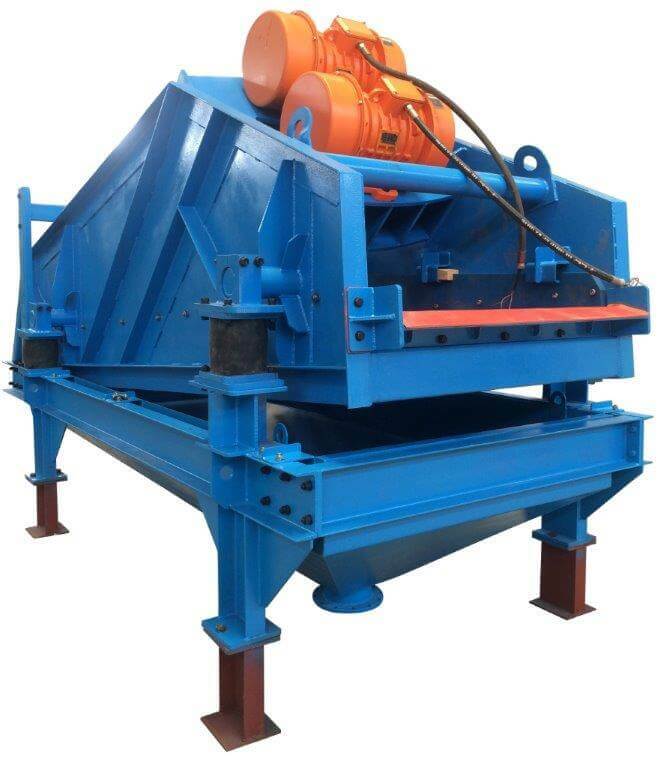 Vastly improved results were obtained when either the sieve bend or the scalping deck was used in combination with the vibrating screen. 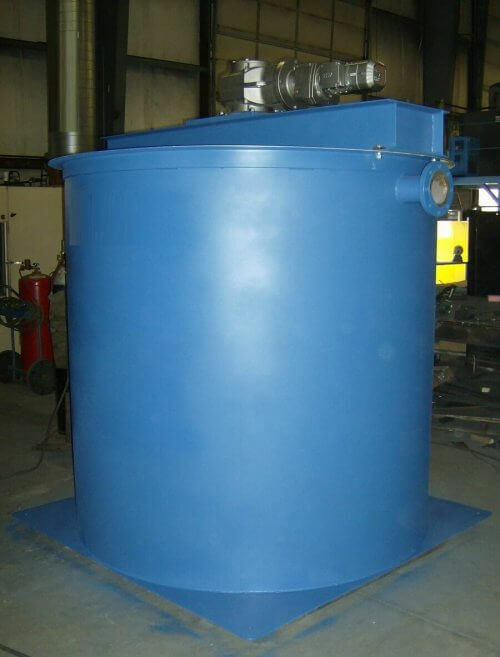 At a specific gravity of 2.20 for example, the product of the vibrating screen when used alone contained over 1,900 pounds of magnetite per ton of coal, but adding the sieve bend or scalping deck reduced the amount of magnetite to about 600 pounds per ton. 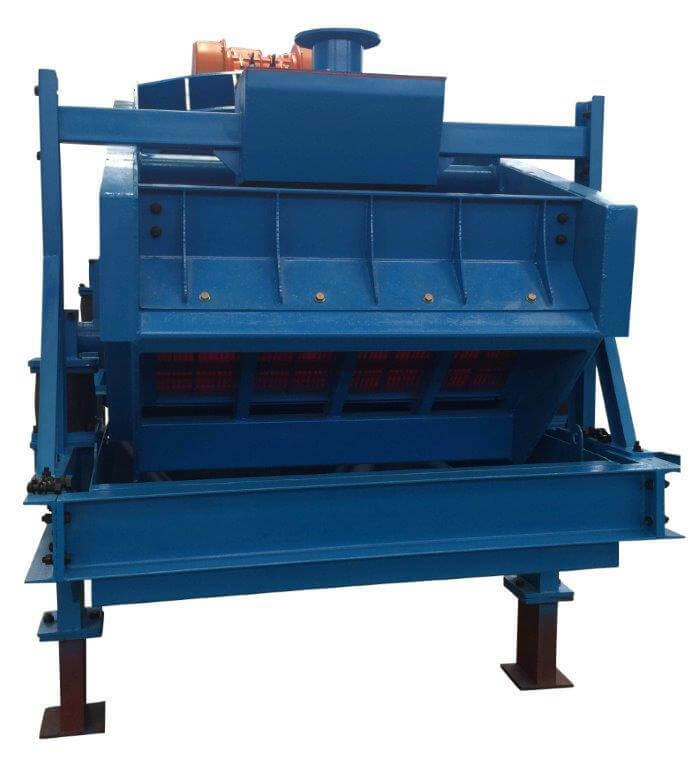 The scalping deck was clearly superior to the sieve bend, either when considered as a separate unit, or when considered in combination with the vibrating screen. The three screen arrangements were tested also with washed coal and medium of 1.20 specific gravity. 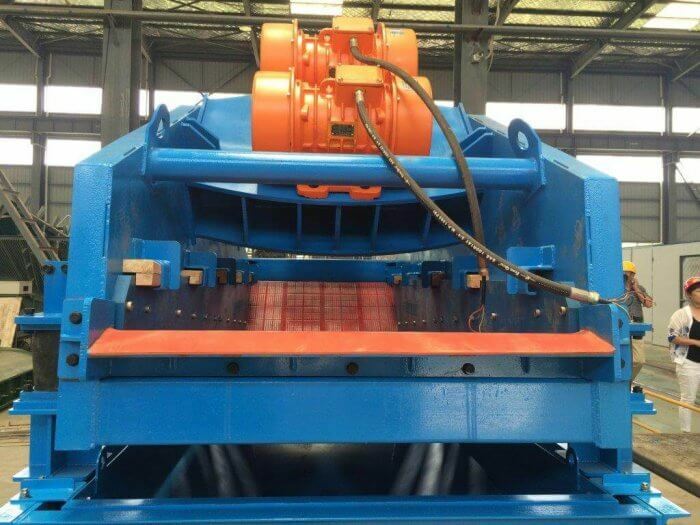 The advantage of the sieve bend or scalping deck was not as spectacular as that achieved in draining refuse, but the amount of magnetite in the discharge of the vibrating screen was reduced by nearly 50 percent (see table 4). When the yield of washed coal is high, drain-and-rinse screens have to handle a much higher tonnage of washed coal than of refuse; therefore, the improvement afforded by the sieve bend or scalping deck, although of smaller percentage, could greatly reduce the amount of magnetite entering the medium-recovery circuit. 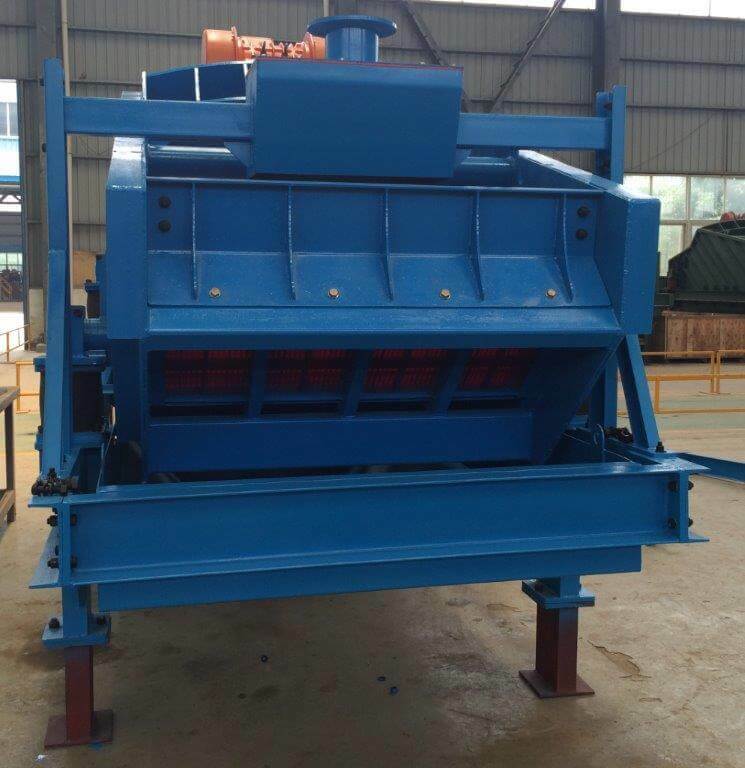 The first step in the investigation of dewatering was to establish the capacity of the vibrating screen when used alone. In these tests a water-to-coal ratio of 3 to 1, simulating the washed-coal product of concentrating tables, was used. At a feed rate of 5 tph/ft of screen width, a pool of free water on top of the bed of coal rapidly progressed all the way down to the discharge end of the screen. The screen was obviously overloaded. At 3 tph/ft dewatering appeared to be satisfactory at first, but by 90 minutes of operation the water pool above the coal had again extended to the screen dis- charge. 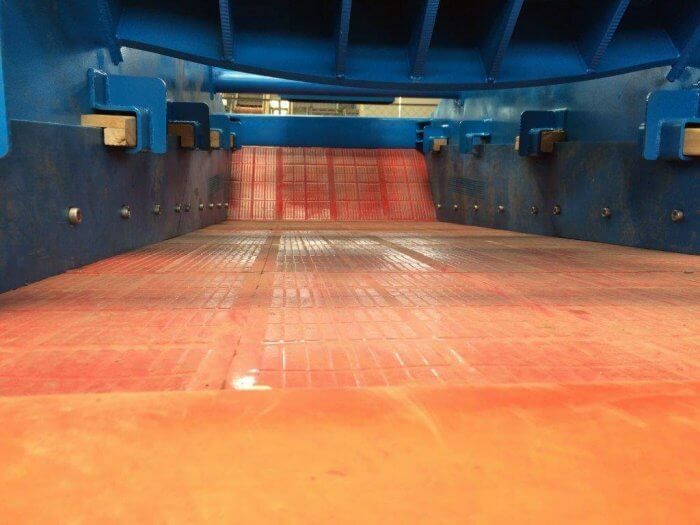 Progressive blinding had gradually reduced the open area of the screen below the minimum required to achieve effective dewatering in the retention time available. This coal contained 15 percent of material in the 20- to 35-mesh-size range and an additional 25 percent of material finer than 35-mesh; thus, it was more prone to cause blinding than a coarser coal would have been. With another coal of more favorable size composition the feed rate of 3 tph/ft might have been satisfactory. 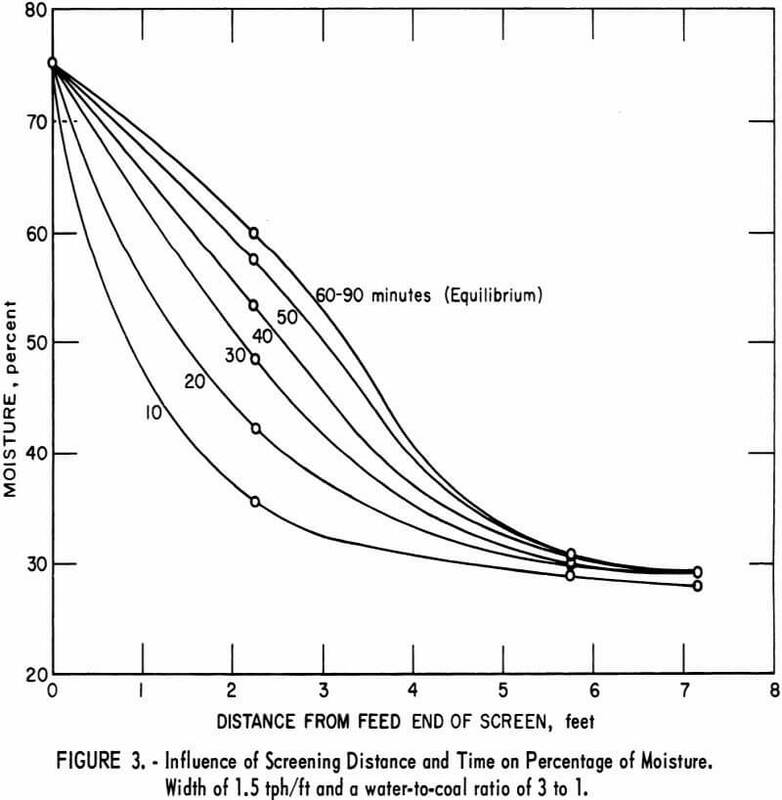 A feed rate of 3 tph/ft is only about half of that often used with commercial screens, but commercial screens are of 16- to 20-foot length in comparison with the 8-foot length of the experimental screen. 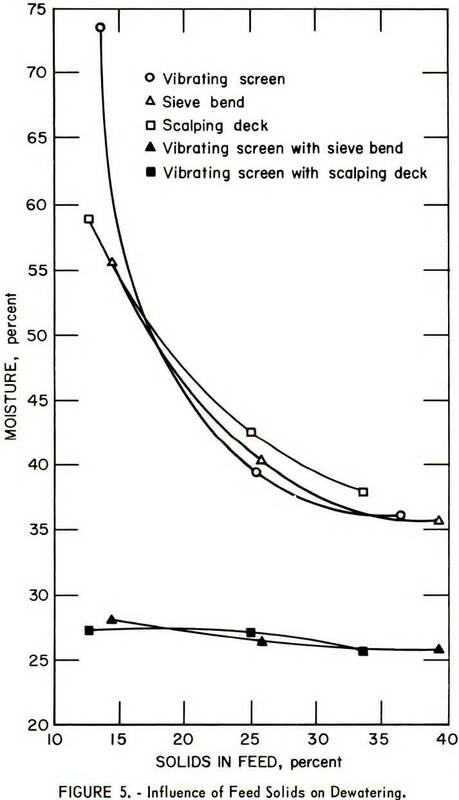 family of curves in figure 3 demonstrates that equilibrium was not reached until the screen had operated for an hour; all corresponding samples taken between 60 and 90 minutes of operation had constant moisture values. 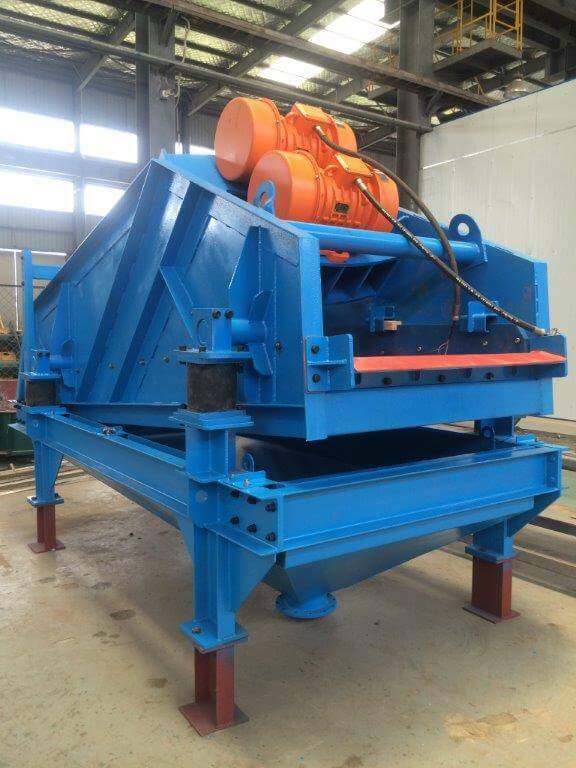 In the next two series of tests, the sieve bend and the scalping deck were used to relieve the load on the vibrating screen. Both of these devices greatly increased the tonnage of coal that could be handled with satisfactory dewatering. The lower two curves (fig. 4) show that with either the scalping deck or the sieve bend a feed of 8 tph/ft was dewatered as completely on the first 2 feet of the vibrating screen as was a feed of 1.5 tph/ft in the full 8-foot length of the vibrating screen when used alone. Increasing the feed rate to 16 tph/ft caused only a modest increase in the moisture content of the finished product. In fact, at this tonnage either combination of screens gave as low a moisture content in the finished product as was achieved by the vibrating screen when used alone at 1.5 tph/ft. was used. 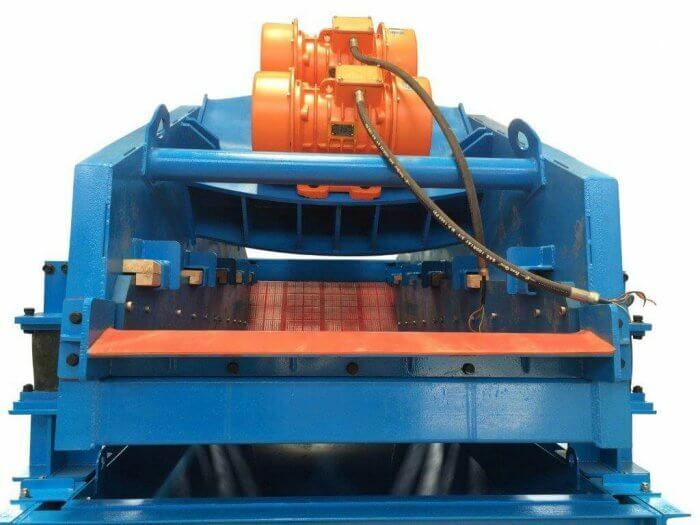 At both tonnages, the sieve bend provided a somewhat drier product than the scalping deck, but the difference was equalized on the vibrating screen. 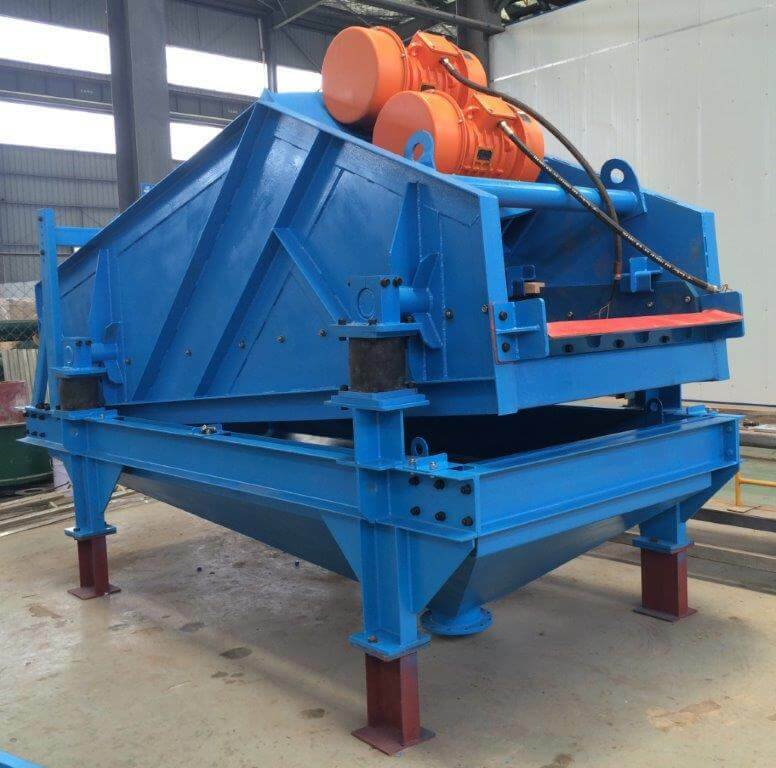 Because the performance of dewatering screens is influenced by the amount of water in the feed, a series of tests was made at various water-to-coal ratios, using the several screens singularly and in combination. Results of these tests, which were made at a feed rate of 8 tph/ft of screen width, are shown in figure 5. 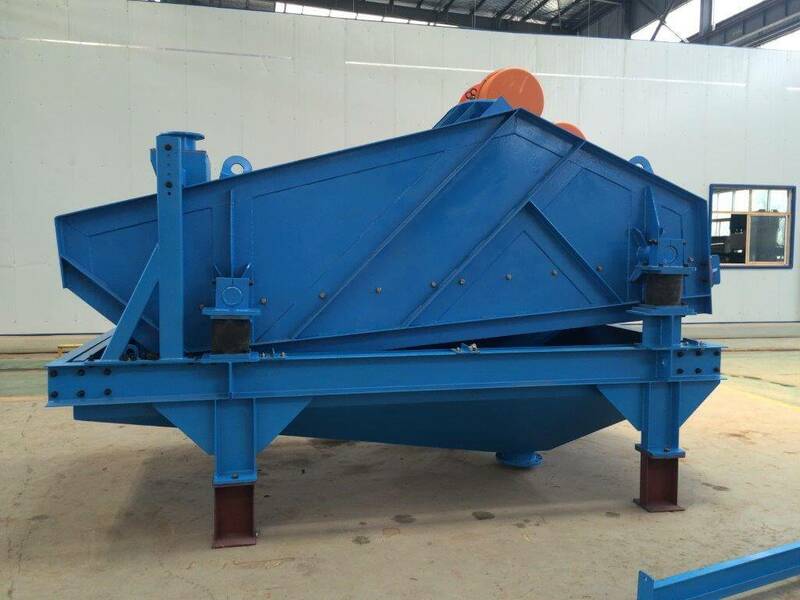 When the feed contained about 35 percent solids, the vibrating screen was able to reduce the moisture content to about 36 percent. As the feed became wetter, the vibrating screen was unable to cope with the greater amount of water and thus the moisture content of the product rose rapidly. Adding either the sieve bend or scalping deck to the circuit improved dewatering greatly. 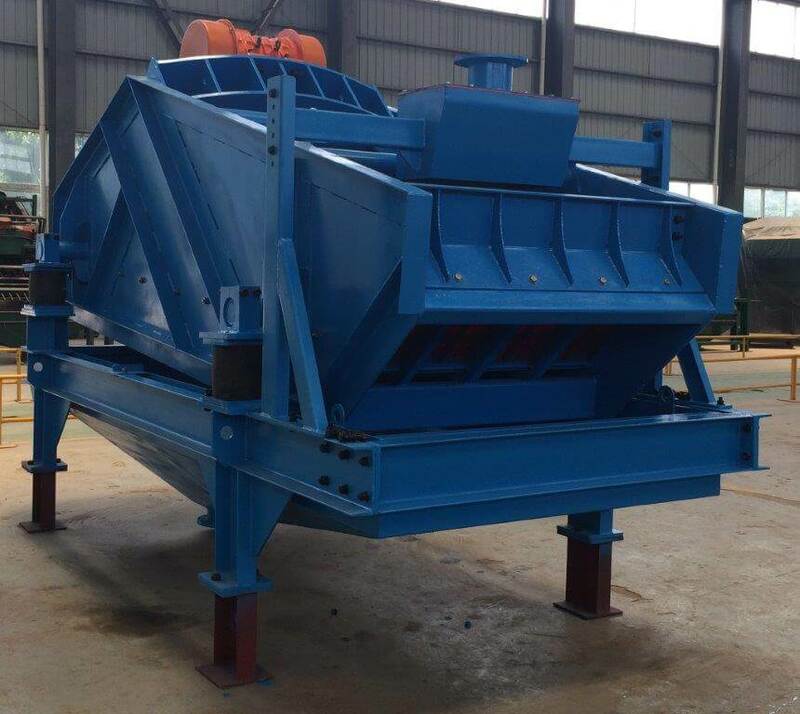 A final product of 26 to 28 percent moisture was obtained from the vibrating screen, regardless of the amount of water in the feed. 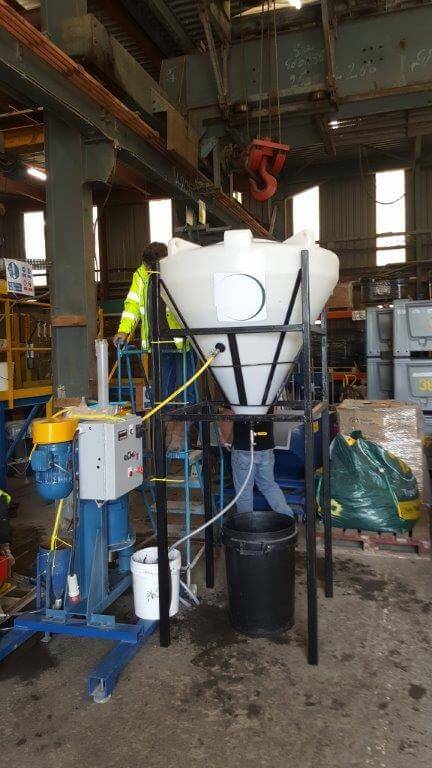 With the wetter feeds the sieve bend eliminated more water than the scalping deck, but the difference was too small to be reflected in the moisture content of the final product. 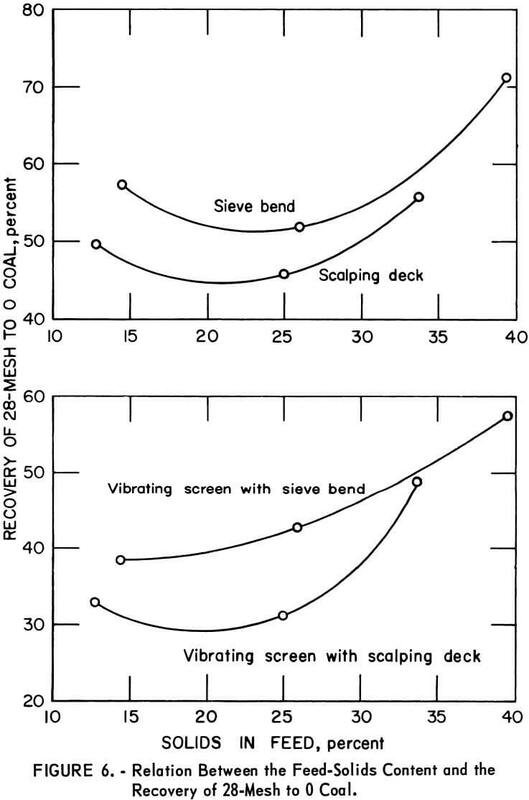 Actually, figure 5 does not show the full advantage offered by the sieve bend or scalping deck, because the curve for the vibrating screen does not represent equilibrium conditions. The product of the screen was so sloppy, and dewatering obviously so unsatisfactory, that the samples were taken after only a few minutes of screen operation rather than after attempting to establish equilibrium conditions. At equilibrium the performance of the vibrating screen would have been poorer, and hence the improvement afforded by the auxiliary screens would have been even greater. The loss of fine coal that inevitably occurs on dewatering screens is a function of feed rate and of the moisture content of the feed. 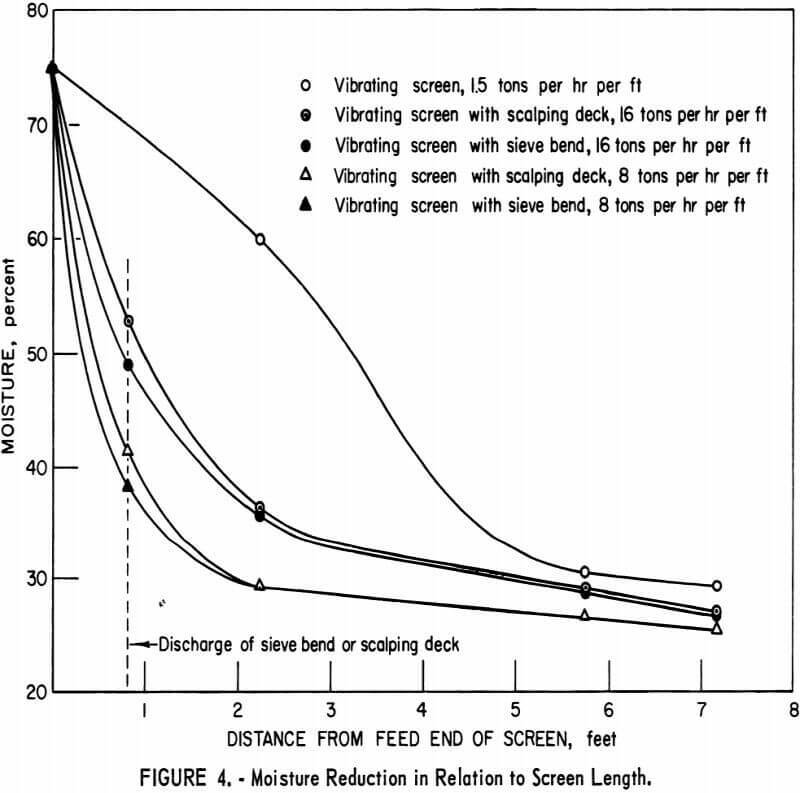 When the feed to the vibrating screen was reduced to 1.5 tph/ft to achieve equilibrium dewatering conditions (in treating a feed of 25 percent solids), only 15 percent of the coal finer than 28-mesh was recovered in the screen oversize (table 5), When the scalping deck was added to the vibrating screen and the feed rate increased to 8 tph/ft, the recovery of material finer than 28-mesh increased to 37 percent. The sieve bend was even more effective; it increased recovery to 49 percent. At 16 tph/ft, maximum feed-rate recovery was even further improved. As shown in figure 6, which depicts operation at 8 tph/ft, both the sieve bend and the scalping deck afforded minimum recovery of undersize coal when the feed was of intermediate moisture content. This is consistent with the observation that the sizing action of the sieve bend is best at intermediate feed moisture. The conditions that are ideal for sizing are, of course, the poorest for recovery of solids. Over most of the moisture range examined, the sieve bend was more effective than the scalping deck in improving overall recovery of fine coal. This superiority probably can be attributed to the fact that the sieve bend effects a separation at a size equaling about half of the net bar spacing. When the sieve bend deck is vibrated on the vibrating screen, this relationship no longer holds. The improvement in both dense-medium drainage and dewatering that occurred when the sieve bend or the scalping deck was used in conjunction with the vibrating screen is attributed to two factors. First, these auxiliary devices eliminated enough of the near-aperture size particles to substantially eliminate blinding of the vibrating screen. Thus the degree of improvement that can be expected because of this factor depends on the size- shape characteristics of the coal. The two coals used in this investigation were both prone to cause blinding, and therefore the improvement observed was substantial. With coals of more favorable size-shape composition, the degree of improvement would be less. 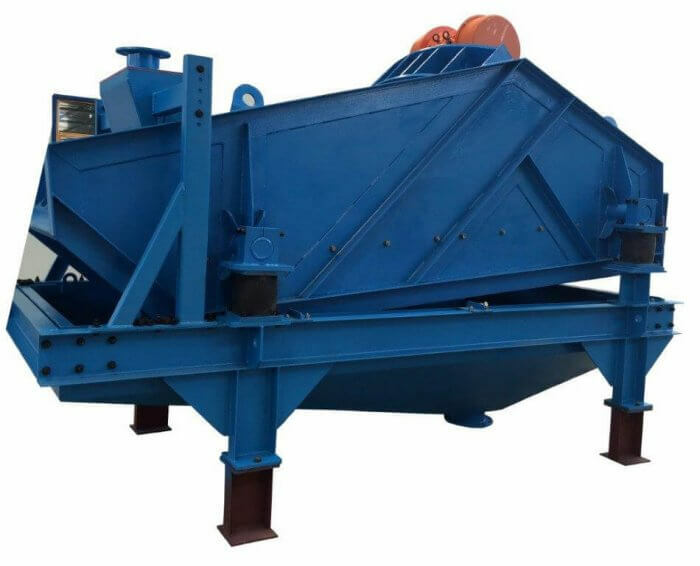 The second factor responsible for the improvement observed when the sieve bend or scalping deck was used is that either of them removed a substantial proportion of the liquid, thus relieving the load on the vibrating screen. Under most of the test conditions employed, these auxiliary devices removed about as much liquid as did the vibrating screen. This factor would be substantially independent of the size composition of the coal. Although the scalping deck was somewhat superior to the sieve bend in draining dense medium, on balance, the performance of the two was much the same. The scalping deck offers the advantage of requiring less headroom, which often is a critical factor in installations in existing plants. It also is less costly, because no housing or additional piping is required. Screen life and maintenance are equally important factors, but they cannot be evaluated readily in a laboratory investigation because of the comparatively short operating time.